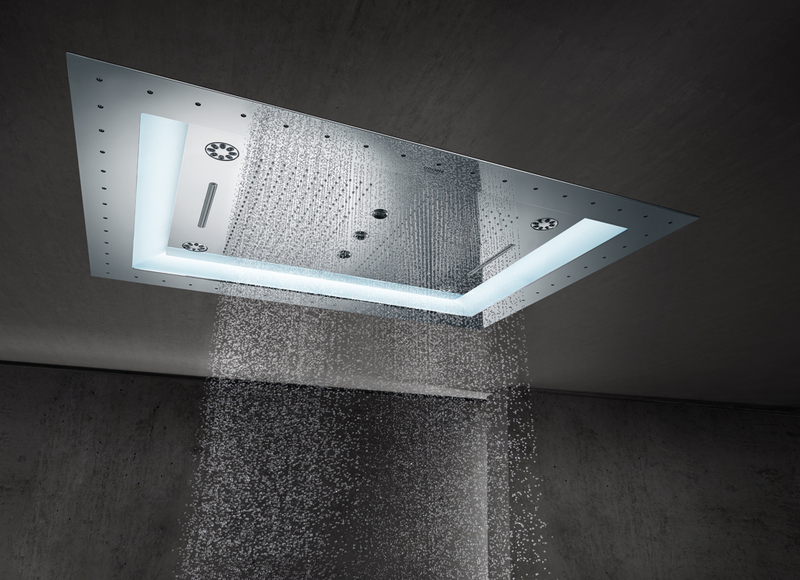 This extraordinary new product from Grohe offers an exceptional bathing experience like never before. Step into a new world of luxury, with the Aquasymphony where you can start every day with a taste of paradise. 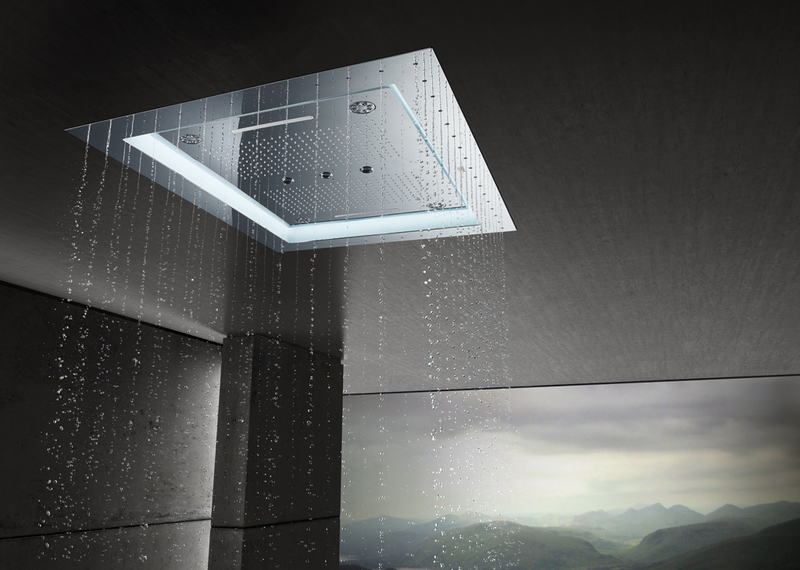 The beauty of this award winning product from Grohe lies within the orchestration of features that inspire the senses. Soft coloured lights allow you to tailor the mood of your shower, to relax or invigorate, in combination with whatever music you’re feeling at that moment. A variety of water options means you can control your shower experience and enjoy water in a multitude of different ways. The Aquasymphony features a rain curtain to surround you, a waterfall spray for a refreshing cascade, soft, drenching rain sprays, lightly massaging Bokoma sprays, drizzle sprays like a sea mist and the pure spray for a steady spring-like stream of water. The steam bath function allows you to use aromatic oils in the steam, to add a luxuriously relaxing touch. Gentle steam will open up your pores, detoxifying the body and hydrating the skin for complete wellbeing. Concept are proud to offer their exceptional design service where we can help you create the perfect bathing space to encapsulate a luxury top end feel within your home. We use the latest finishes and products whether you’re renovating an existing bathroom or starting from scratch in a luxury new build. This entry was posted in Luxury Bathrooms, Luxury Showers, New Products and tagged Aquasymphony, Aquasymphony by Grohe, Architectural Bathroom Design, Grohe Aquasymphony, GROHE bathrooms, grohe spa, Hi End Showers, luxury bathroom design, luxury showers, Powerful Showers, spa showers, Wellness Showers. Bookmark the permalink.